This tip of serial "Change voice by using nickvoice" (What is Nickvoice?) 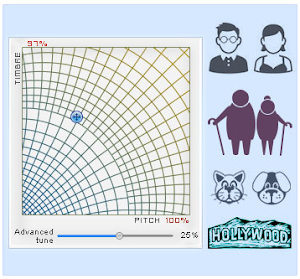 provides a comprehensive lesson on how you can change your voice from male to female. This post is aimed at aiding transgender individuals, but is also useful for people who want to learn to do really great voice exercises and impersonations. Just wait for a minute: If you want to buy full FULL Pro Voice Changer Software, please click below link to get 30% OFF Coupon from audio4fun. Note: this video is made on old Voice Changer Software Diamond 7.0. The newer, 8.0, screenshots are below. Step 2/3: In the main windows of Voice Changer Software Diamond, Click Nickvoive on menu, choose "For male input voice"
Those nickvoices will help to change your voice from that of a male to that of a female. 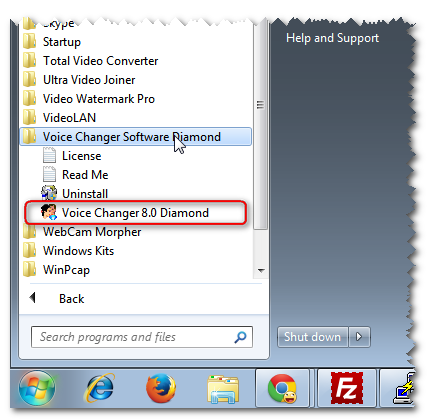 Nickvoices menu in Voice Changer Software Diamond help you change voice to female voice and work as female voice generator. Step 3/3: In the Voice morpher module, you will see the pointers has been relocated. You can change pointer's location to change timbre - pitch and get reality output voice which you want. Say "Hello" to review your result. You can use this tip to change voice to female voice for calling with your friend via Skype, Yahoo or other VoIP Programs, even for Gaming. 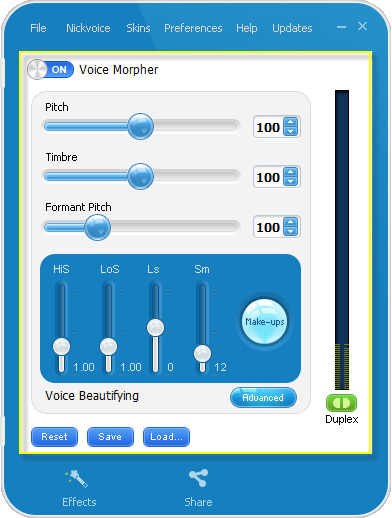 Note: Voice Changer Software Diamond not only change timbre and pitch to change your voice but also it combine 5 elements to give your female voice. They are Sound quality, Voice Equalizer, Equalizer, Formant morpher and Timbre and Pitch Graph. So, you can change all of them to get the best of "female voice" output.